Learning Ladders with its commitment to develop all round creative and innovative thinkers puts great emphasis on after school enrichment programs. 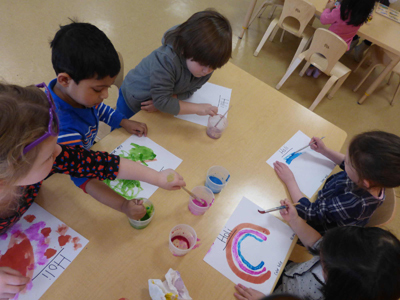 To aid children in exploring all aspects of learning and to explore their own interests we provide all children an opportunity to participate in all of the extracurricular activities. All children registered for extended day program are automatically registered in all of the following without any additional tuition. The enrichment programs at Learning Ladders are important and beneficial to children in many ways. These programs enhance children’s future academic achievement because the programs help children to develop new skills, interests and engage actively in many different activities. These programs also support children’s social development and their relationships with adults and peers. Soccer develops agility, speed and stamina, and also teaches children the importance of teamwork. It can play an important part in your child’s physical and social development. Soccer helps teach children to be fit and agile. The activities that children work on with their soccer coach here at Learning Ladders build endurance, speed and coordination. The health benefits of soccer include stronger bones and muscles. Our students have a Zumba teacher that comes in every week and works with them on the basic aspects and poses of dance form. Zumba is beneficial to kids in many ways. Because children encounter emotional, social, and physical challenges or conflicts, a dedicated and intentional practice that includes breathing techniques, behavioral guidelines, and physical postures can be incredibly valuable for them. Zumba is something children can practice anywhere and that the breathing, the concentration, the poses, and the way kids learn to act or react to situations, will lead to constant self-discovery and inquisitiveness. Zumba promotes physical strength because kids learn to use all of their muscles in new ways and refines balance and coordination. 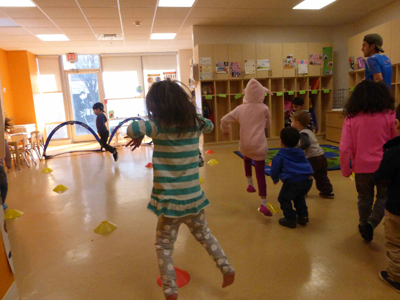 Zumba develops focus and concentration in children. 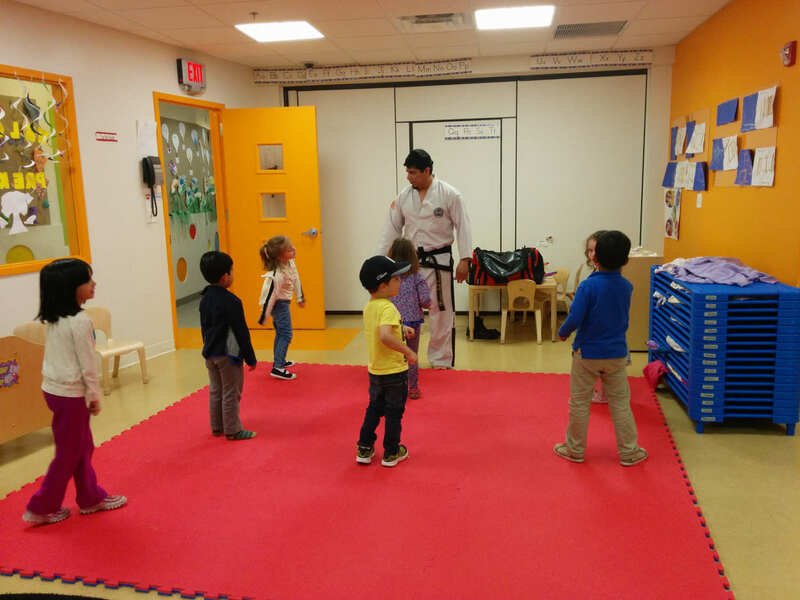 One of the main benefits of taekwondo is improving a child’s strength and balance. Because taekwondo depends on kicking and fast hand techniques, practitioners learn to balance their weight on one leg to leave the other one free to strike. This also helps strengthen the muscles of the torso. Taekwondo can also help improve coordination. Arm and leg muscles become stronger as a child practices strikes. Learning the patterns and sequences of taekwondo requires concentration and attention, and sparring requires focus on both one’s self and one’s opponent. Taekwondo teaches breathing and meditation techniques to assist in learning focus. Taekwondo students must learn to follow directions from an instructor and are expected to show respect to the instructor. Taekwondo will not teach your child self-defense skills to directly deter bullies, but taking taekwondo might prevent your child from becoming a bully. Music helps develop brain areas involved in language and reasoning. Linking familiar songs to new information can also help imprint information on young minds. There is also a link between music and spatial intelligence. Students of the arts learn to think creatively and to solve problems by imagining various solutions, rejecting outdated rules and assumptions. Through music study, students learn the value of sustained effort to achieve excellence and the concrete rewards of hard work. Music study enhances teamwork skills and discipline. Music provides children with a means of self-expression. Now that there is relative security in the basics of existence, the challenge is to make life meaningful and to reach for a higher stage of development. Music study develops skills that are necessary in the workplace. It focuses on “doing,” as opposed to observing, and teaches students how to perform, literally, anywhere in the world. Introducing young children to a second language gives them a chance at greater fluency. When students learn another language they are able to communicate with more people. They are able to acquire language skills when it still comes naturally and easily. They are also able to understand English better because both English and Spanish share roots in Latin. Studying Spanish increases children’s understanding of the English language and how different languages evolve, which can also help with learning English vocabulary.